The introduction of computer technology in the late 1960's and 1970's brought a fundamental shift to supply chain management. Activities that were once done manually could now be done by machine, and enthusiasm for automation swept the manufacturing industry. As software solutions became more readily available over the next two decades, supply chain managers increasingly adopted what's now known as the "best of breed approach." This method is characterized by the practice of selecting the "best" individual software solution for each business application or use area. ERP was virtually nonexistent, leading to unseen, unmeasured costs and missed profit opportunties. IT leaders spent most of their time on tactical integration, rather than strategic planning. Most integration was point-to-point, rather than end-to-end, and manual intervention was often necessary. "Shadow IT," that is IT that is purchased outside the knowledge and oversight of the IT department, emerged as people simply made their own software and IT decisions. Although ERP gained necessary visibility, it was also tied to a cumbersome system that could not be easily updated as technology evolved. Casual users were often turned off by the modern ERP interface, resulting in lower adoption rates. IT leaders were often cut out of IT decisions, which were made by whoever had funds and authority to make purchases. Shadow IT persisted, as the modern ERP was often not nimble enough to offer tailored or specialized applications. In recent years, supply chain management and IT leaders have noted a shift away from modern ERP, and they fear a return to "best of breed" tactics. This isn't an unreasonable concern given the proliferation of SaaS solutions and choices. 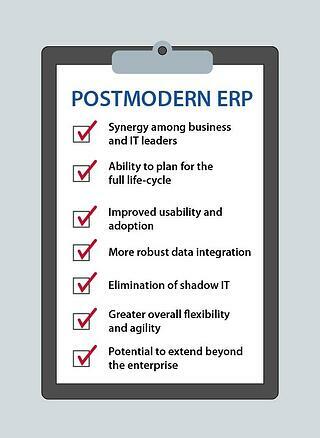 Postmodern ERP Offers the "Best of Both"
More robust data integration: Because the postmodern ERP brings together a wide variety of connected technologies, data and processes are much more fully integrated in the end-to-end system. This offers incredible new potention for S&OP and S&OE. Elimination of shadow IT: Because the postmodern ERP accommodates the use of specialized solutions, individual users can work with IT to obtain the technological tools they need, rather than "going rogue." This means that IT leaders can devote more time to strategic end-to-end integration, instead of struggling to identify unauthorized, unintegrated solutions. 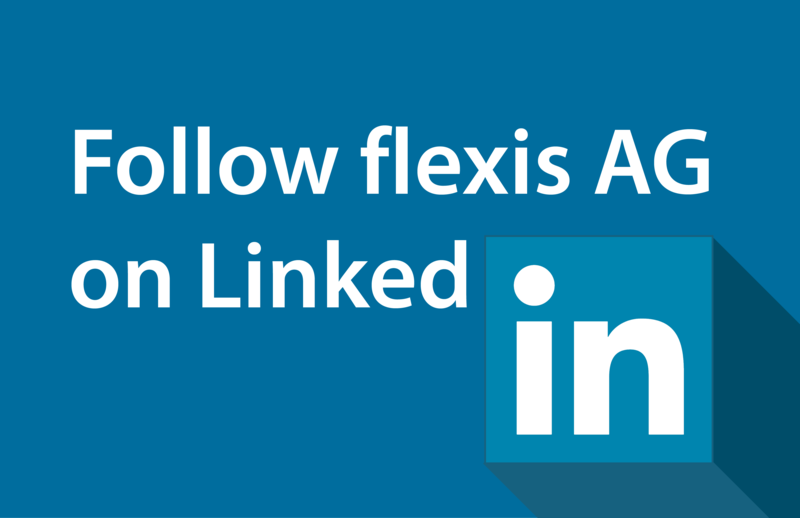 Greater overall flexibilty and agility: Adopting cloud-based specialist applications allows organizations to leverage upgrades provided by vendors, which often give users more ability to configure changes as they desire. Potential to extend beyond the enterprise: Postmodern ERP creates a sort of "value chain" that can interact with systems outside the enterprise. 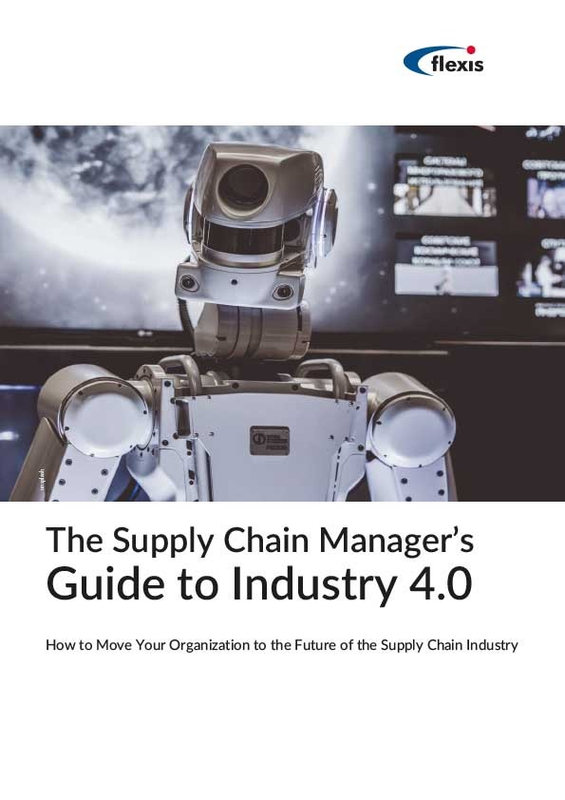 In the era of Industry 4.0, this is a particularly attractive feature because it means the supply chain can essentially interact with suppliers and customers, via specialized applications. 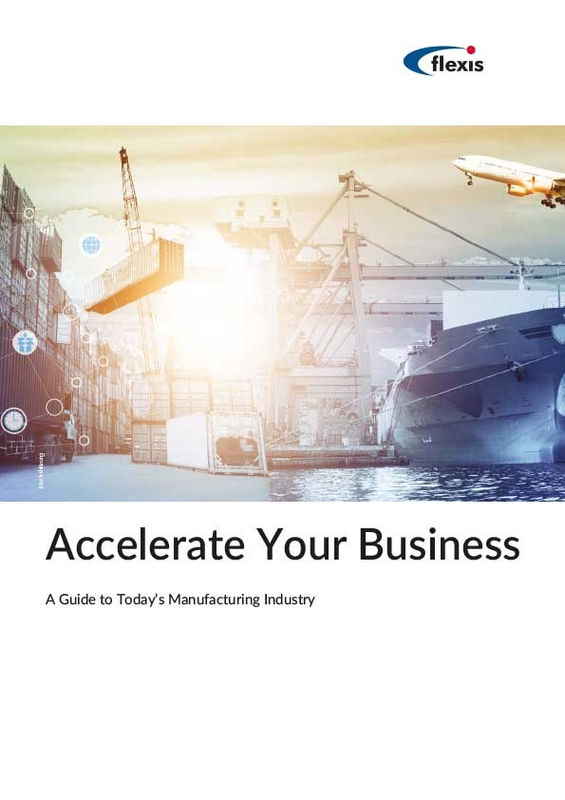 The manufacturing industry continues to evolve, and adoption of postmodern ERP offers considerable advantages as a supply chain management strategy. The key is collaboration between business leaders and IT specialists to ensure strategic implementation.